By not taking responsibility for the violent crime and anti-social behaviour of their pupils, teachers are merely ignoring their own mistakes, according to London’s new Deputy Mayor, Ray Lewis. In a statement guaranteed to rile the National Union of Teachers, Mr Lewis told a meeting on street violence that "schools are the only businesses which blame their customers for their own failings". Having been appointed by Boris Johnson to help cut violent conduct on Monday, Lewis has wasted no time in wading into the debate over who is culpable for London’s youth crime. 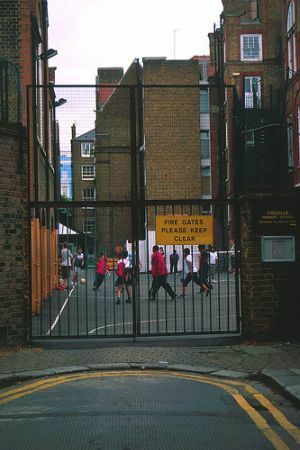 Citing a "monumental unwillingness to look in the mirror and admit failures", he insisted London’s schools are too concerned with their reputation, and should instead concentrate more attention on attempting to help aggressive students. A clear indication that Boris’s promise to cut to the core of the causes of violent crime was not half-hearted, the ex-director of the Eastside Young Leaders' Academy and former prisoner governor took an especially hard line on the teaching of boys, claiming that "schools are failing to provide education fit for males, let alone black males". The presence of female teachers who don't look like the boys in their care, let alone boys of colour, is unhelpful. Males have a different psychology to girls. After the transport boozing ban yesterday, and today’s other news that Boris is to meet New York mayor Michael Bloomberg to discuss zero tolerance crime measures, it seems the quiet start to his tenure many were predicting isn’t holding true. Image courtesy of Zach Bulick's photostream.